← Is Honeymoon really a tradition? On arrival at New Delhi Airport or Railway station or any Pick up point in Delhi , you will be welcomed by our executive or driver and direct transferred by road to Nainital (the beautiful lake district of Kumaon).Check in at your pre-booked hotel & In the evening, enjoy strolling on the Mall Road for shopping. Enjoy your dinner and an overnight stay at the hotel. 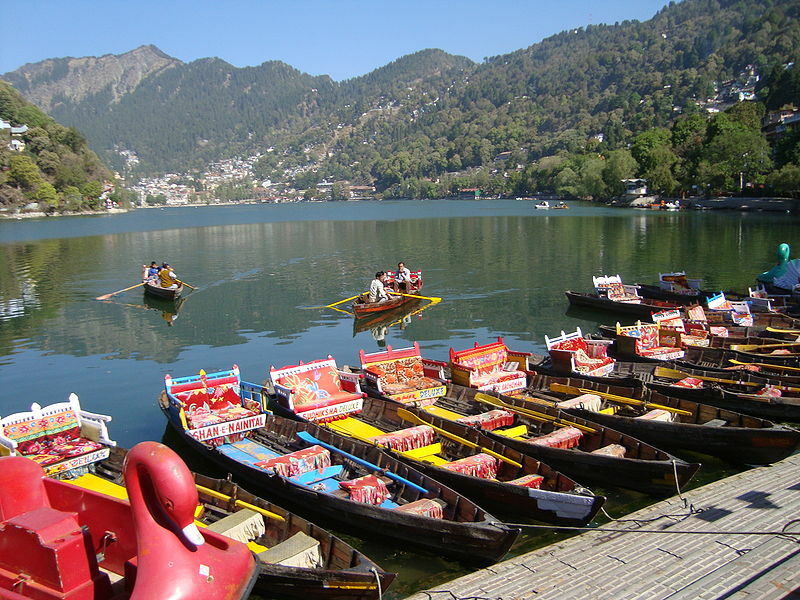 Enjoy Breakfast and proceed for sight seeing tour covering Nanda Devi Temple, Governor’s House,Nainital Zoo,Boat ride in naini lake,Cable car ride.By evening proceed for nature walk tour around lake in Mall Road & Overnight stay at hotel. After breakfast drive to Kausani. Kausani is situated at 1890 mtrs above the sea level and the father of nation Mahatama Gandhi contemplated on the beauty of this region and called it “Switzerland of India.” It is perfect destination for those who are looking for a calm and peaceful holiday.By evening arrive at the Kausani. Check in at the hotel ,Enjoy Himalaya darshan from hotel or view point. Dinner and overnight at the hotel at Kausani. Start this day of your Kausani tour by watching Sunrise over the Himalayan range, glistening in the morning sunshine, gives lovely viewing pleasure & return to hotel and after breakfast proceed for sightseeing tour,covering Peaks Nandadevi, Trishul,Tea gardens, Anashakti Ashram – It is a quiet and silent place in Kausani, where Mahatama Gandhi spent a few days of his life wrote his commentary on Anashkti Yog, called ‘Geeta-Anashakti-Yog’, Pant Museum. etc. Evening free for leisure and relax. Dinner & overnight stay at Kausani hotel. After breakfast drive to Corbett National Park & enjoy natural beauty with wildlife. Evening nature walk & overnight stay at Resort. After breakfast, you can morning open gypsy jungle safari ( extra cost / advance booking required) Later drive to Delhi,On arrival New Delhi & you will be transferred at airport or railway station or next point of journey. End of the trip with loads of sweet memories forever.